Zoodles are noodles cut from zucchini, usually on a spiralizer. 1. 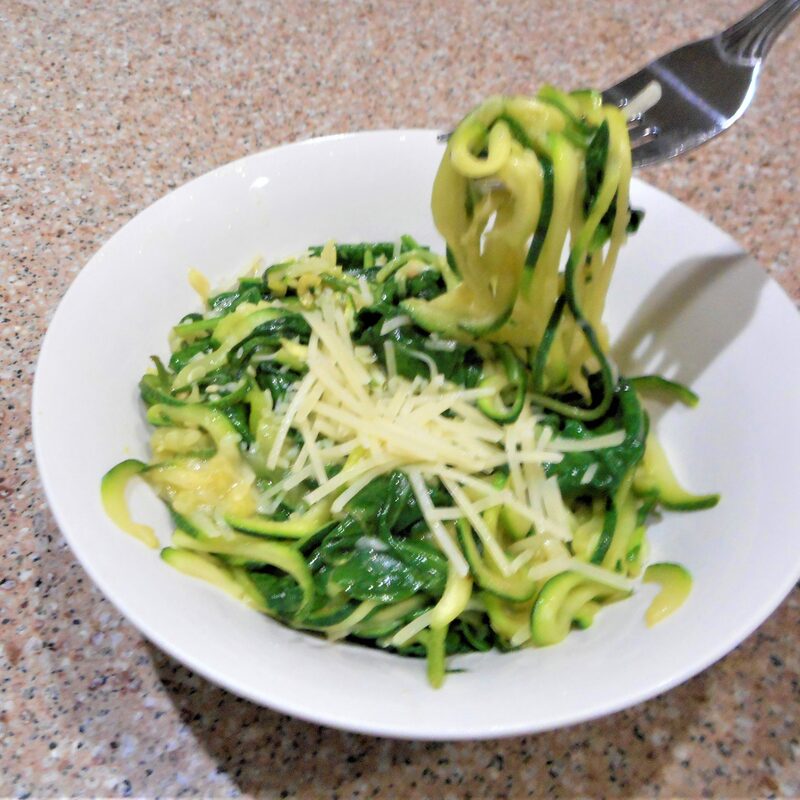 Use a vegetable spiralizer or julienne peeler to cut the zucchini into long thin noodles, “zoodles”. 2. Place zucchini noodles in a colander and sprinkle with salt, tossing to incorporate the salt. Let zucchini stand for 15-20 min. in the colander set over a plate or bowl to release moisture. 3. Once zucchini has drained for 15 min, transfer the zoodles to a towel lined baking sheet. Use paper towels or a tea towel to gently pat dry and release any additional water. Set aside. 4. In a large skillet, melt together the butter and olive oil. If desired, add the garlic and cook, stirring constantly, for 30 seconds. 5. Add the zucchini and cook, tossing often, until the zucchini is just beginning to soften. Do not over-cook. The zucchini will fall apart. 6. Stir in most of the Parmesan cheese, reserving a little for topping. Serve immediately.